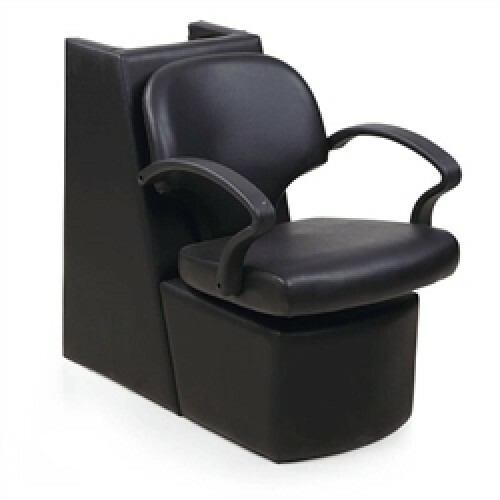 This stylish chair is made of high grade wood, dense foam and high quality commercial black vinyl. Holds approx up to 400lbs. This chair has a much softer feel than other models. Great for a regal yet modern look. Stylishly designed for comfort and performance, its top quality features include ultra plush cushioning.